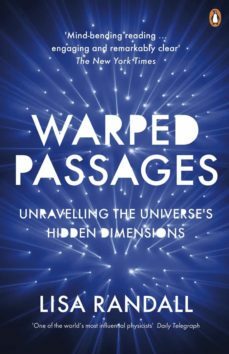 In Warped Passages one of the worlds most exciting scientists gives us a glimpse into our future. Incredibly readable - and illustrated throughout - it allows the general reader to understand the questions that scientists are dealing with at the frontiers of research today. Lisa Randall allows the reader to understand the kind of problems that extra dimensions might solve and the kind of speculation that is needed even to imagine them. She also gives an introduction to developments in early twentieth century physics, particle physics and string theory and addresses current debates about relativity, quantum mechanics and gravity - and she describes the questions that are still to be solved.